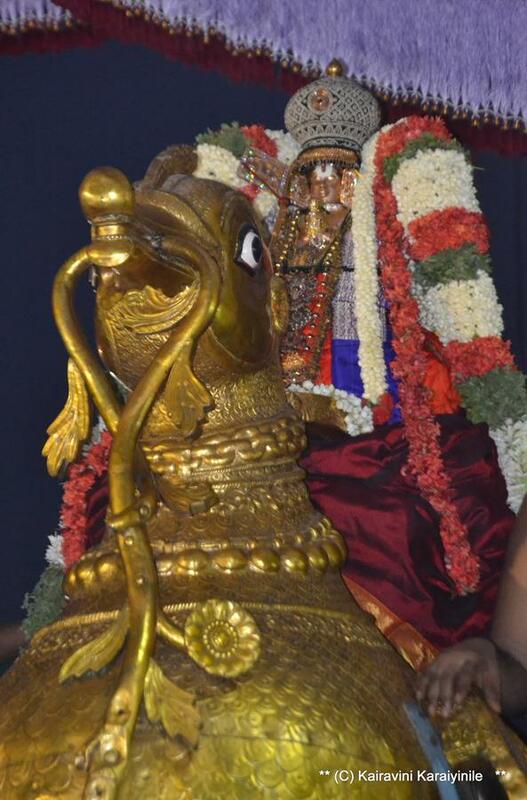 Our Srivaishnavism hails Ubhaya Vedantha – there are philosophies restricted to having their scriptures in either Sanskrit or Tamil ~ Sri Vaishnavism has Sanskrit and dravida vedantha in equal parlance. 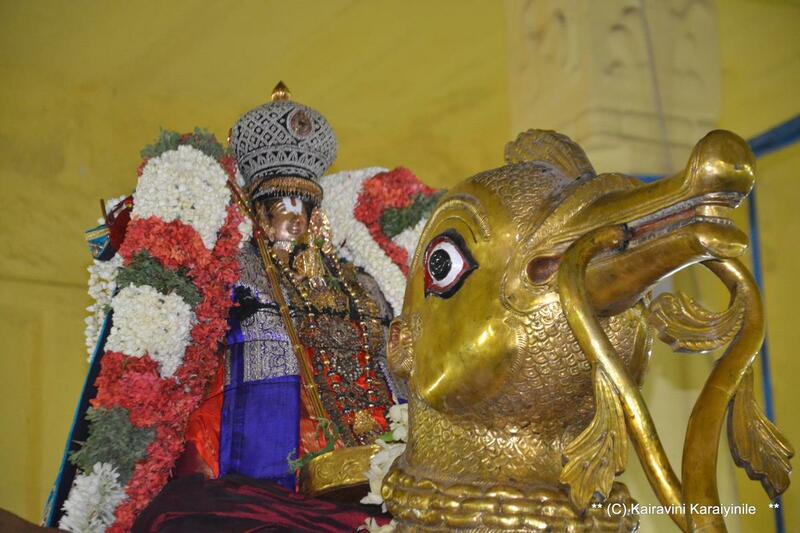 .. .. and we have the noblest of preceptors - Swami Ramanujar – the King of all hermits guiding us the path. நம்மிராமாநுசர் : சொல்லார் தமிழ் ஒரு மூன்றும்; சுருதிகள் நான்கும்; எல்லை இல்ல அறநெறி யாவும் தெரிந்தவன் என திருவரங்கத்து அமுதனாலே போற்றப்படுபவர். 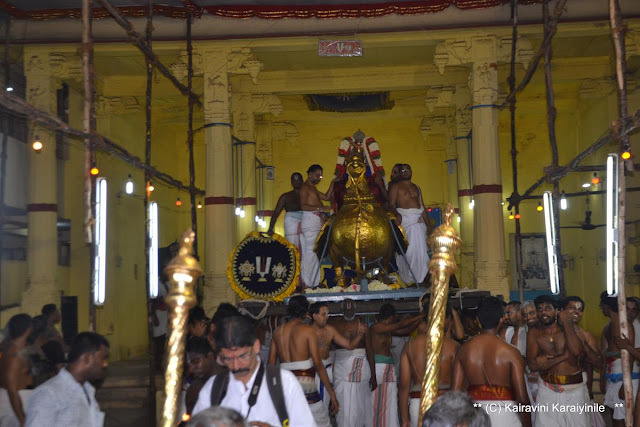 Thiruvarangathu Amuthanar hails Ramanuja as a master of Prose, Poetry, Drama in Tamil; all the four Sanskrit Vedas and all inclusive countless Dharma Sastras. The Greatest to descend as a human being on this earth, Swami Ramanuja Charya neatly chronicled and documented in as many terms the VisishtAdvaita sampradAya. The works of all other acharyas followed his footsteps. Thus our darsanam is fondly known “Emperumanar darsanam” or “Ramanuja Darsanam”. The concept of Sarangati as developed by aAlwargal, Nathamunigal, Alavandar was also documented by Ramanuja both in text and practice. “மின்னுமாமழை தவழும் மேகவண்ணா * விண்ணவர்தம் பெருமானே! 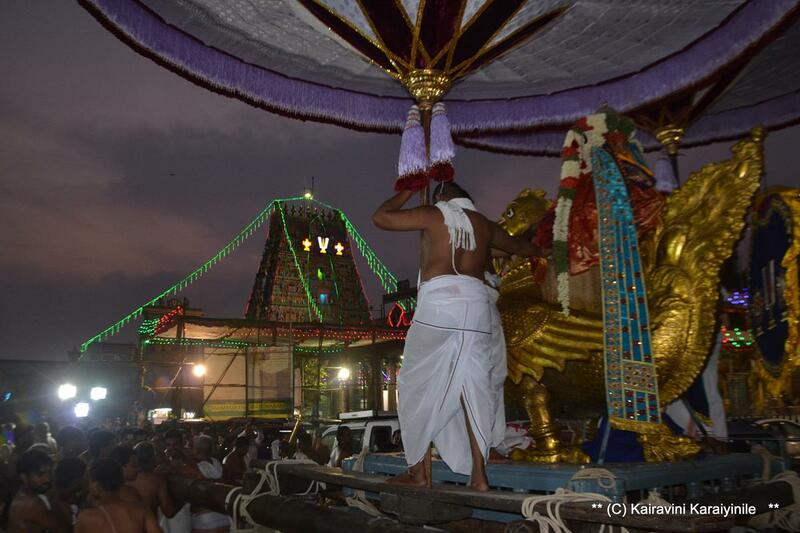 அருளாயென்று அன்னமாய் முனிவரோடு அமரரேத்த * அருமறையை வெளிப்படுத்த அம்மான் தன்னை"........சர்வேஸ்வரன் முனிவர்களும் தேவர்களும் ஸ்தோத்திரம் செய்ததற்கு இணங்கி ஹம்சரூபியாய் அவதரித்து அருமையான வேதங்களை வெளிப்படுத்தி அருளினார். 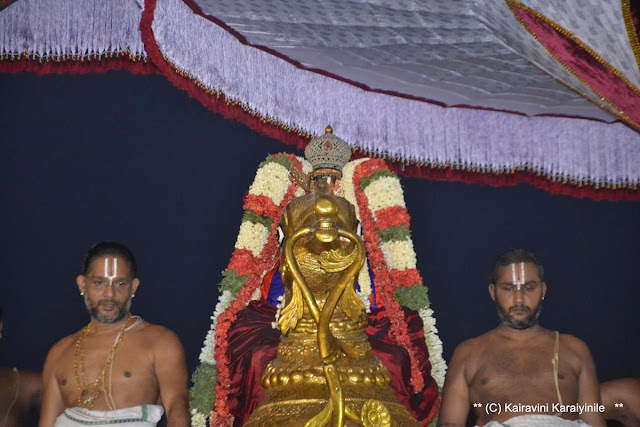 Hamsa vahanam is one of the heaviest among the vahanams. The bird Hamsa is known for its purity and powers. 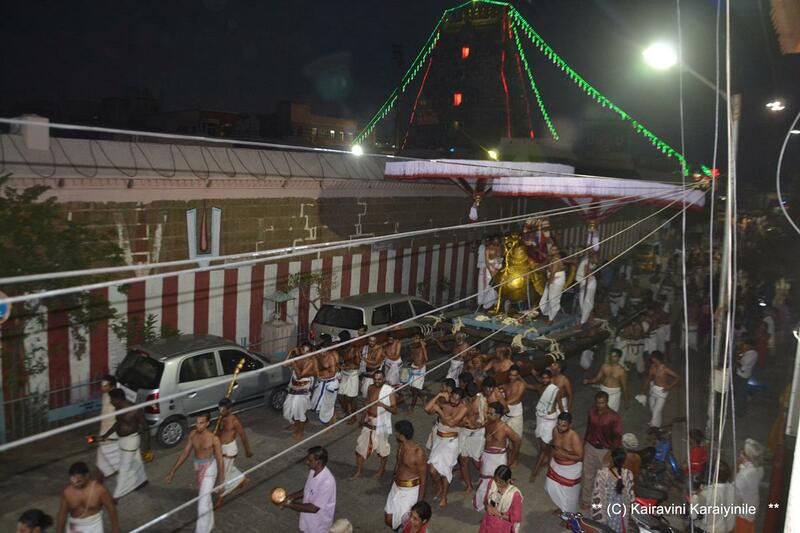 Blessed are we to be living and have the fortune of partaking in millennium celebrations of Swami Udayavar. 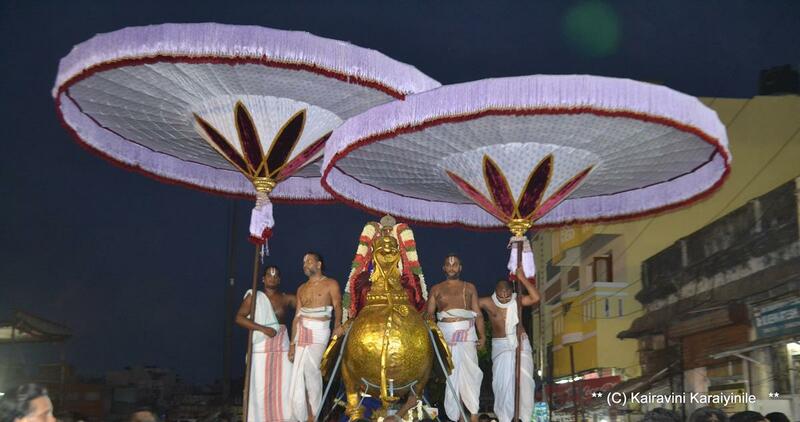 Today at Thiruvallikkeni on day 3 evening, it was the big Golden Hamsa vahanam for Sri Udayavar. This big vahanam is for Sri Parthasarathi & Sri Azhagiya Singar only, and now this being Special Sahasrabdi Uthsavam – it has the fortune of carrying our Swami Ramanujar. Here are some photos taken during evening purappadu at Thiruvallikkeni divyadesam. 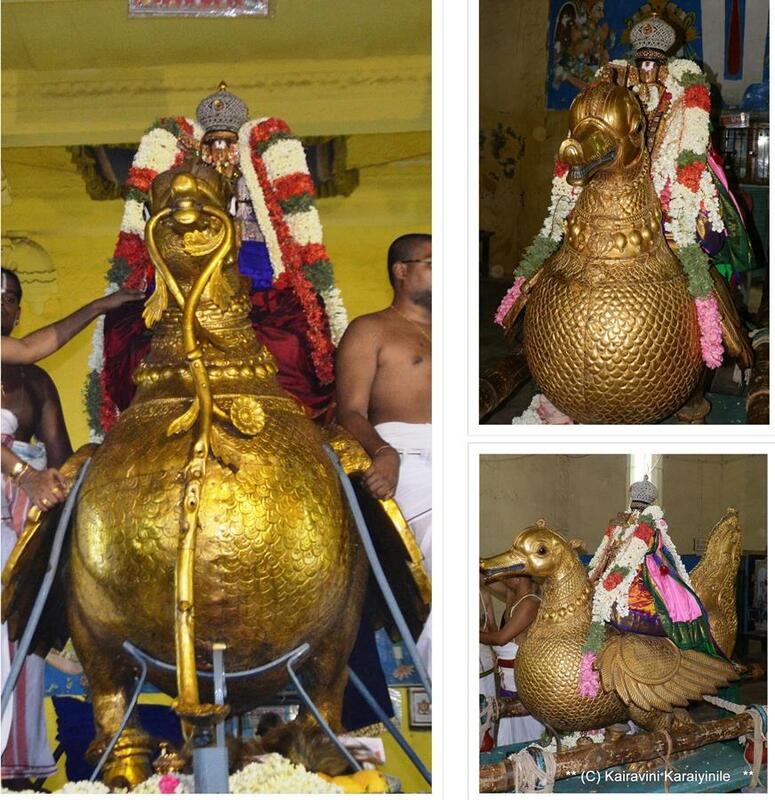 The collaged photo shows on left today’s vahanam and the rest 2 taken yesteryears of Udayavar on small Hamsa vahanam.